Are you looking for inspiration for those finishing touches for your new home? 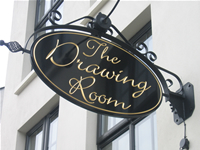 You need look no further than “The Drawing Room,” an exclusive 2,000 sq ft interiors emporium located at 9 Monaghan Street, Newry. 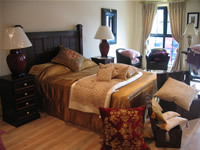 Located at 71 Milltown Street, Burren (directly below Bumpers Convenience Store), the Drawing Room offers a wide range of high quality furnishings, lighting and interior accessories, including brands such a s Mulberry Home, English Home, Sibona, Lene Bjerre, Neom Organics and Kennethe Turner. 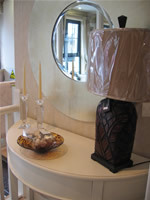 Some of the renowned international brand names you will find in The Drawing Room include a chic collection of signature Mulberry throws, cushions, candles, picture frames and glassware, bed linen by UK based design house English Home, crystal vases and candles by Kenneth Turner, sumptuous throws and cushions by Sibona, an eclectic mix of Danish designer Lene Bjerre’s chandeliers, towels and bathroom accessories and elegant lighting and mirrors by Uttermost. Eithne Cunningham and Sinead Cunningham-Ward from Warrenpoint, are the mother and daughter partnership behind this exciting retail concept which was launched in December 2005. The launch of The Drawing Room has been a lifetime’s ambition for Eithne and her daughter Sinead enabling both to combine their passion for art and interior design. Sinead has been teaching art and design for eight years after graduating in Textiles and Fashion from the University of Ulster. In her spare time, she has successfully exhibited her own work and built an impressive portfolio of clients across Northern Ireland. 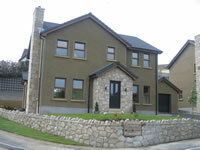 For twelve years, Eithne has been consultant interior designer for a range of Warren Properties' aware residential schemes including: Highfields Avenue - Newry, Knockanoney Heights - Newry, Mallinmore Mews - Newry, Cushowen - Burren, Creenacorrag - Burren, Penguin Place - Newry, Mourne Wood - Rostrevor and Bridge Road - Burren. Commenting on what customers can expect from a visit to The Drawing Room, Sinead said: “Our research indicated to us that consumers have become very discerning shoppers and demand a more sophisticated shopping experience and range of products. Rather than having to travel to Belfast, Dublin or London to find something that little bit different, we hope that clients will find what they are looking for in The Drawing Room. 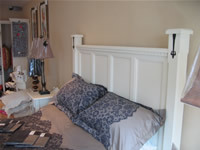 We have brought together a range of interior items which are individual, high quality and, in many cases, exclusive to this area.” said Sinead.